This statistic presents the development of UK football clubs' revenues from key commercial contracts such as sponsorship, as of 2018. 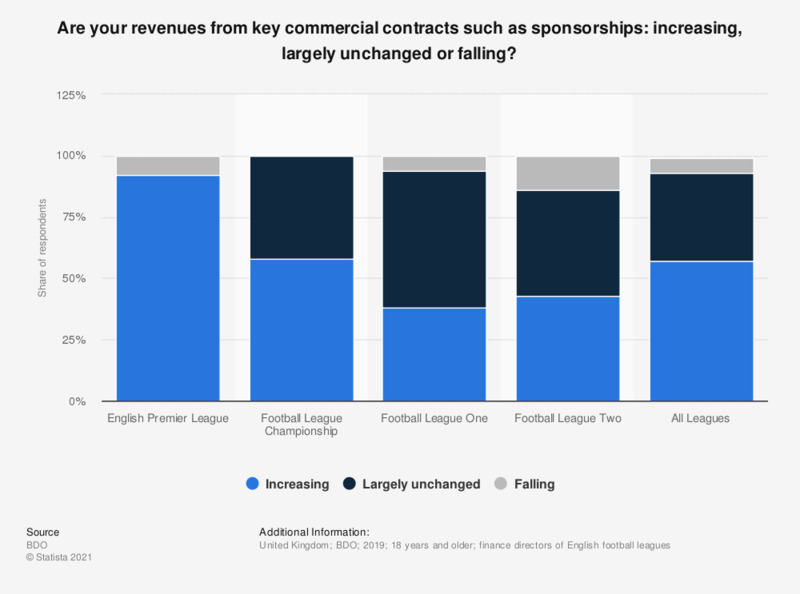 Among all leagues, the English Premier League noted the highest increases in the revenue: 80 percent of sampled finance directors reported an increase. This was followed closely by the Championship with 79 percent.